OnePageCRM Development Roadmap - Live on Trello! 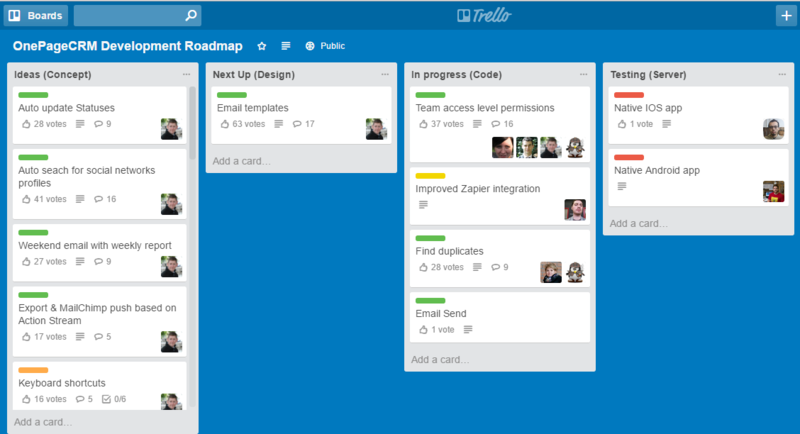 OnePageCRM Development Roadmap – Live on Trello! 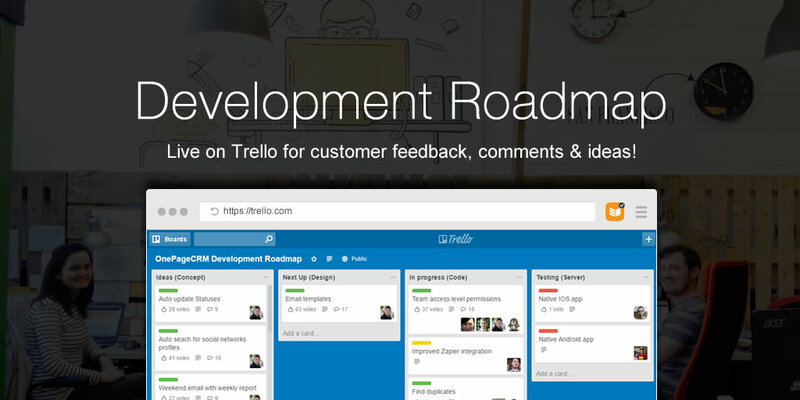 The OnePageCRM Development Roadmap is live on Trello! With our roadmap now made public, you have an insight into what’s in the development pipeline for the app, mobile, UX improvements, ideas and integrations. You can see which features we are currently working on and what features are due for release! And the best part of the roadmap? It’s interactive! Meaning, you can submit your comments on the presented ideas and vote for the features that you’d like to see developed first. OnePageCRM is so effective as a system, because it’s built on the feedback of customers, salespeople. Your continued feedback and ideas help us build a better app with tailored features so you can close more sales!